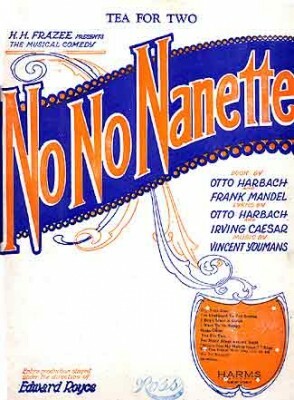 “Tea For Two” is from the very popular 1925 musical No, No Nanette. The musical had a very successful revival on Broadway in 1971, which helped to make “Tea For Two” even more popular with the public. “Tea For Two” was recorded on January 25, 1971 and released that year on the album Love Story. It was arranged by Ralph Burns. “Tea For Two” was recorded on January 31, 1971 and released that year on the album Get Happy with The London Philharmonic Orchestra. It was arranged by Ralph Burns.